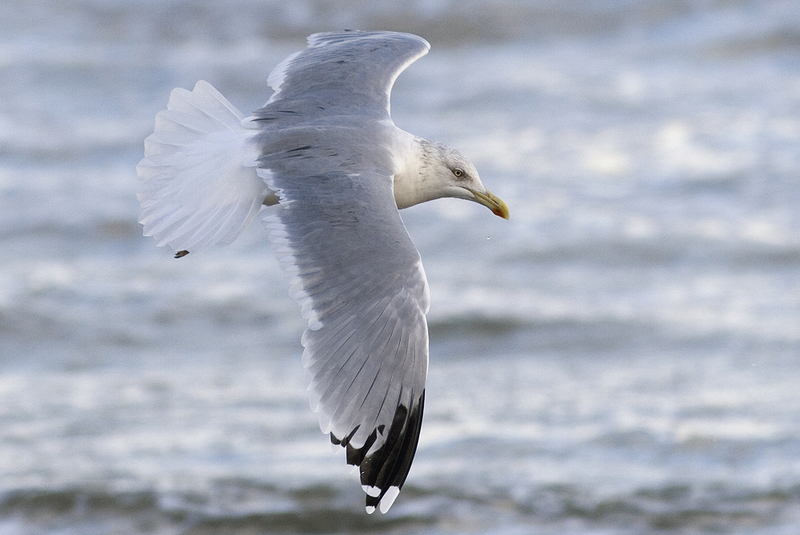 Herring Gull (argentatus) adult, December 02 2012, Katwijk, the Netherlands. Bird not ringed, no provenance on ssp. but head profile and late moult are indications. No sub-terminal band on P10, mirror on P9, no black spot on P5.